Moonshine Mountain Snow Tubing Park is home to the steepest snow tubing slope in western North Carolina. This snowy park offers visitors over 500 feet of snow tubing trails. It is also one of the only parks in the Southeast that allows snow tubing trains! A mobile bistro is available at the park where you can order quick bites like french fries and burgers. Moonshine Mountain Snow Tubing is only 40 minutes away from Lake Lure in the mountain town of Hendersonville, NC. The cost of tubing is $30 per person. Black Bear Snow Tubing is another great park to enjoy in Hendersonville. The snow tubing slope here is over 500 feet long! For those traveling with family or friends who would prefer to watch, a heated lodge is available for non-tubers to stay warm. If you happen to visit on the weekend, then you are in for a treat. Mountain Man BBQ serves up award-winning barbecue every Saturday and Sunday! Black Bear Snow Tubing is only 30 minutes away from Lake Lure. Snow tubing tickets are $25 per person. Hawksnest Snow Tubing Park is a snow tubing paradise. This winter wonderland has over 30 lanes of fun. Whether you’re a first-timer or you are looking for something a bit more challenging, the slopes here have something for tubers of all levels. It is the largest snow tubing park on the East Coast, so you could easily spend an entire day here and still have plenty of terrain to explore! Hawksnest Snow Tubing Park is 90 minutes away from Lake Lure in Seven Devils, NC, but it is well worth the trip. The cost of snow tubing at Hawksnest ranges from $30 to $38 per person. After a day of tackling the slopes, head home to The Esmeralda Inn & Restaurant for rest and relaxation. Our outdoor whirlpool spa is open year-round and is the perfect place to unwind in the evening. 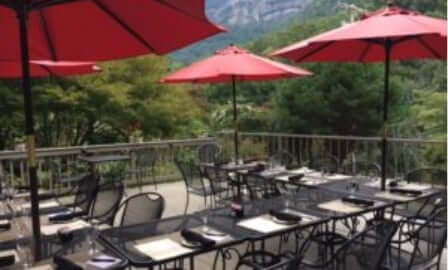 In addition, our onsite restaurant means you’ll never need to worry about where to go for dinner! 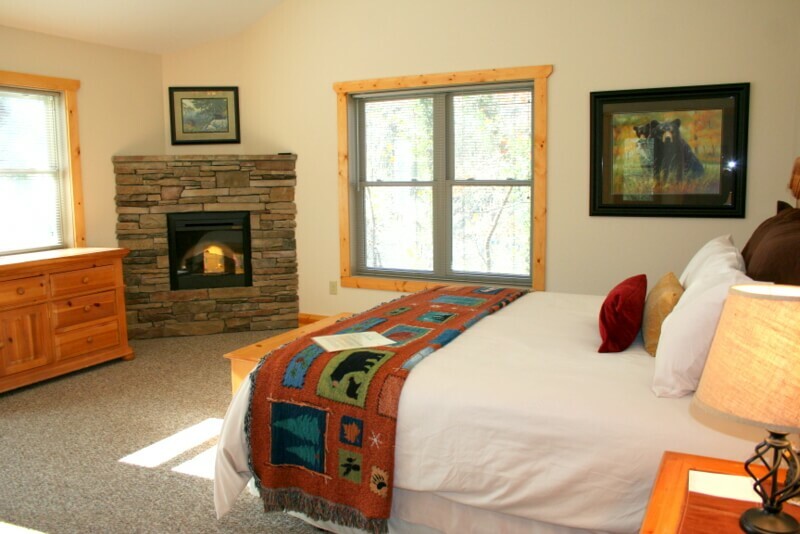 Our Chimney Rock River Cabin features three remote control fireplaces, a full kitchen, and a washer and dryer. 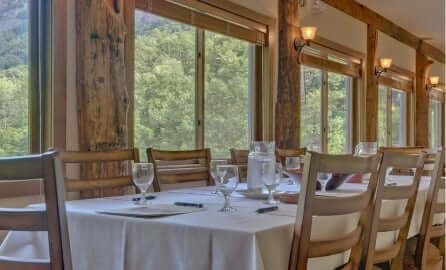 Each of our guests can also enjoy easy access to Chimney Rock State Park, daily gourmet breakfast, and spa services. 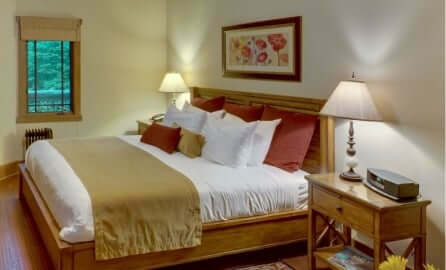 If you are ready to plan your western North Carolina getaway, check our vacation specials and book your stay. We can’t wait to hear about the fun that you had snow tubing in Lake Lure! 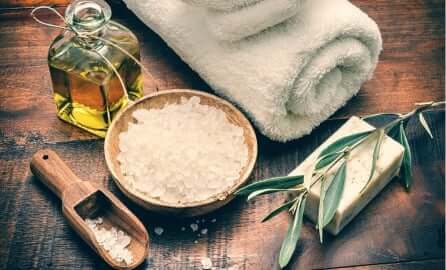 If you are looking for more fun winter activities, read our blog on how to plan the best North Carolina Christmas vacation!